The soap opera began hundreds of years before Edith wrote her letter to the Turkish ambassador! Yet the aristocratic way of life that had evolved at places like Downton Abbey was nearly over by the time we first meet the Crawleys in 1912. 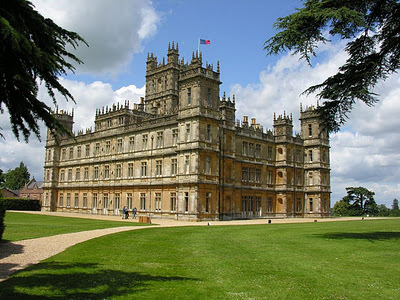 Join Landscape Historian Barbara Geiger on Thursday, August 2nd at 7:00pm for a slide lecture about the English landscape designers, land ownership patterns, and inheritance laws that produced great estates like Downton, and why radical changes were inevitable. Ms. Geiger specializes in 19th and early 20th century places and teaches architecture at the Illinois Institute of Technology. We regret that we need to cancel the August 1st Talking Pictures showing of After the Wedding. We are going to try to reschedule the movie at some point in the future. Remember when rock and roll was clean and the Chicago River was dirty? If you do then you'll want to be at the library on Tuesday, July 24th at 7:30pm for Clark Weber's Rock and Roll Radio. 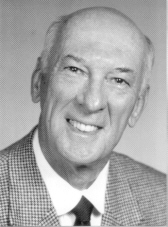 Clark was a very familiar voice in the 1950s, 60s, and 70s as a program director and disc jockey for WLS radio in Chicago. Enjoy some of his stories about the music you loved and the people who made it at this entertaining program on the heyday of Top 40 radio. We know that you love having ebooks available for you from the library so we've got a new way to get them! It's called Freading and it's available now from the library website. You can have multiple ebooks checked out for two weeks at a time and you can renew them for another two weeks if necessary. Freading ebooks work with computers, iPad, iPhone, Nook and more. Unfortunately they will not work with most Kindles. Set up an appointment with a librarian or attend our July 17th Technology Tuesday program at 1:00 for more information! My Media Mall is still available so you now have two places to look for ebooks! Great New Online Resources for Kids! We have some great new ways for your children to be entertained and educated online. You might already be familiar with the name Muzzy because of their DVDs and software. Now, Muzzy Online offers a fun way for your child to learn French, Italian, German or Spanish through interactive learning games and activities. Next, TumbleBook Library offers interactive online books to read along with, as well as videos and games. Finally, PowerKIDS offers two databases to get your kids loving science: Earth and Space Science and Life Science. Best of all, you don't have to be in the library to use these databases! Simply access our children's page and dive in at any time of day!